I received this new lipstick from Too Cool for School’s Hot Girl Lip Sticker line a few weeks ago! 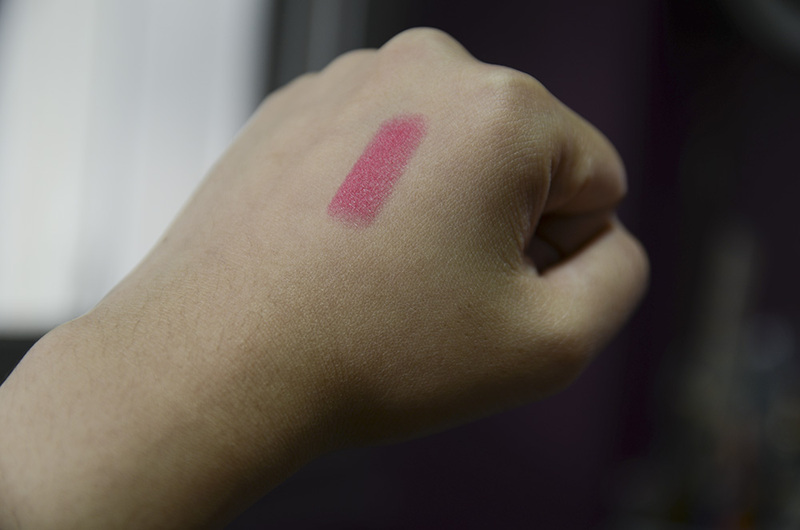 Pink Moon* is a violently bright shade that I don’t see myself wearing often, but it’s an otherwise great statement pink if you want to go bold. The Hot Girl Lip Sticker claims long wear (“adheres to skin & remains long vividly”), “healthy and resilient lips” c/o jojoba oil, smooth and “energetic” color/application, all in an itty-bitty portable size! The lipstick itself is pretty small, especially when you compare it to the standard size of lipsticks, but it does pack quite a punch. But back to the lipstick. I quite like the formula, and I do like this as a stain, if that counts! I think I’d opt for a less in-your-face pink—as I don’t wear pinks as is—but as far as the formula goes, it’s a great one to consider. HAHA maybe! I don’t know if I’d like stickers for my lips. Have you heard of Violent Lips?? They’re kinda like that but the at-home trials from actual customers are hilarious to watch/read about. That packaging is awesome, it reminds me of Cher from Clueless!! You’re right! Haha now I want to keep using it always.